As is usually the case, the card getting designated with a milestone number is one of a couple that could’ve received the honor. I’ve stated in previous posts my general aversion to parallels, but in this case it became a weird necessity when I decided to give up on completing my 2005 Topps Retired team set. 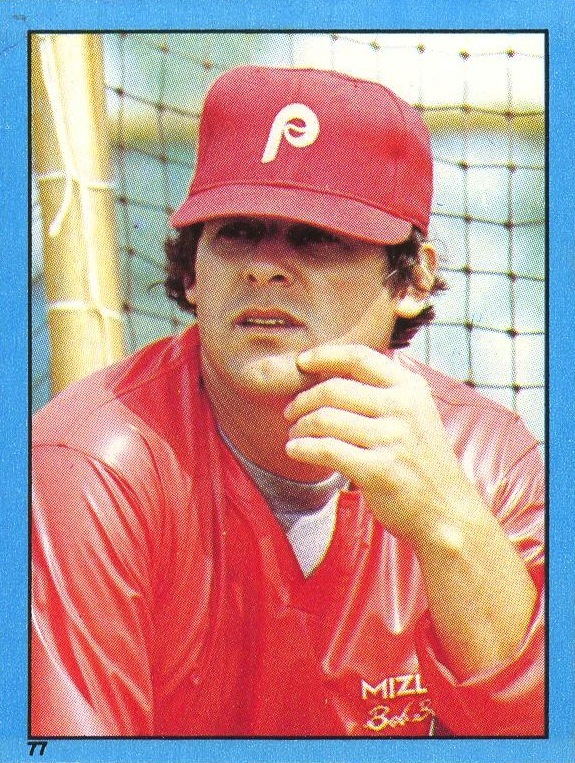 While I already had the Boone, tracking down the Steve Carlton and Dale Murphy cards at prices I was willing to pay became frustratingly difficult. Oddly, this was not the case with the serial-numbered, Gold parallels. So, I made the decision to complete this particular parallel set instead of the regular cards. I particularly like this particular photo of Boone because of the uniform number he’s shown wearing. 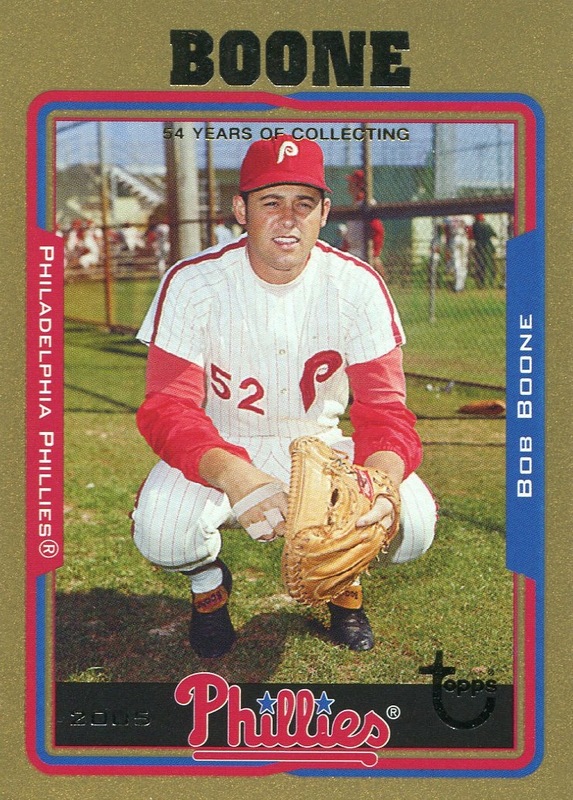 According to Baseball-Reference.com, Boone never actually wore #52 in a game with the Phillies, so this must be a Spring Training photo that dates from before his debut with the club. Unfortunately, to the best of my knowledge, no baseball card shows him wearing #40. Additional Information: Produced for Topps by Panini, who would later start issuing MLB sticker sets of their own. 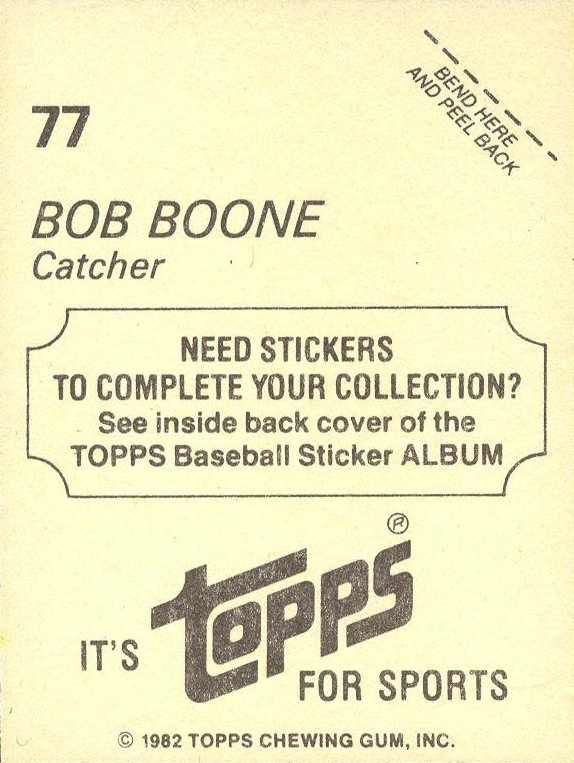 As with all the other Topps Sticker sets from the same time period, these stickers were meant for inclusion in a sticker album. A virtually identical set was produced for O-Pee-Chee. The primary way to tell the difference between the two sets is that the O-Pee-Chee sticker backs are bilingual.